Mountaineering, to most of us, sounds adventurous and exploratory; however, it is extremely aggressive, dangerous and exhausting, especially when you think of inconsiderate and merciless weather conditions, inconsistent blinding blizzards, towering maze of pressure ridge, possibility of trapping in eternal hazards, rapid transformation of its shape and color. Almost every moment you are supposed to stretch your physical and psychological limit to balance the life on and off the edge. Such experiences are unparalleled on earth where deaths lie very heavily in every depths of the cliff ahead and where mistakes are unforgiving. Think of Satyabrata Dam, who calls himself a globetrotting adventure seeker and a die-hard adrenalin junkie, has been pursuing his passion for expedition since the age of 10. 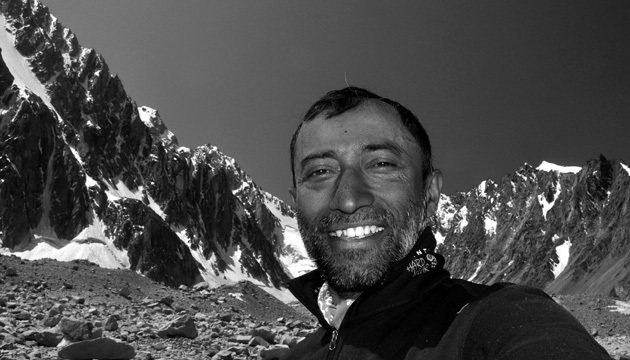 He served as a Submarine Commander in the Indian Navy and after 22 years of his dedicated service, he took voluntary retirement in 2010 to chase is passion for extreme sports, traveling in place that are not in the map and extremely difficult to reach and share those wonderful knowledge of word treasure with people all over the world – sometimes through writing and photography and sometimes through words they can feel the thrill inside. For 35 years he has accomplished all the impossibilities with smile on face and love in heart. 3. Skied across the Greenland ice cap and the most dangerous and life threatening poles – North as well South facing problems like the rarefied atmosphere and lack of pressure. Nothing is impossible when we are ignited by our passion and addiction, which can be treacherously exhausting, extremely arduous and gruelingly challenging but their strange fatal charm can’t be escaped (if you are truly passionate).